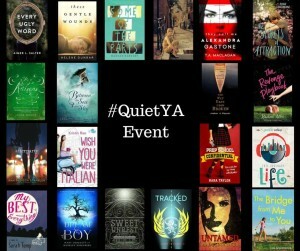 It’s the #QuietYA kickoff giveaway! You could win some truly awesome YA books! Discover some amazing YA books you might be missing out on with the #QuietYA event! This week there’s an awesome event taking place across twitter and many book blogs to draw attention to those YA books that may have slipped under the average reader’s radar. This event is being run by the lovely Julie (@DailyJulianne), and it’s all about rediscovering these YA novels–and sharing your love for other YA novels too. Around twenty authors’ books are being ‘featured’ in this event (mine included! ), and there will be US-only giveaways running for three days, 13-15th July. 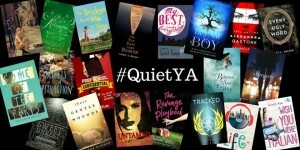 Thursday is the day for recommending other ‘quiet YA’ books, so look out for all those recs too. The launch post for the QuietYA event is already up, and you can read it here, as well as enter to win seven of these books, and follow links to read four great blog posts. Remember to check back to that blog each day, as until the 15th July, there’ll be new giveaways posted each day. So, what else can you do to join in the fun? Well, head over to twitter and checkout #quietYA for all the latest info. Read the blog posts, interviews, and enter the giveaways. On Thursday, use the #quietYA to recommend all your favourite YA reads and discover new books–and look out for the twitter giveaway too! What are your favourite Quiet YA books? Let me know in the comments below. Caroline T Patti is the author of The World Spins Madly On and Too Late To Apologize. When she’s not writing, she’s a school librarian, mother of two, wife, avid reader and Green Bay Packer fan. You can chat with her on Twitter:@carepatti or find her onFacebook. Bobby’s a hick who sees visions. Jeremy’s a smartass who sees dead people. Together, they have a weekend to stop a murderer…if they don’t kill each other first. Sparks fly when the worlds of Lisa Amowitz’s BREAKING GLASS and VISION collide. I tried to keep my eyes from going wide as the guy lifted the cuff of his black jeans. Instead of an actual leg there was only a hydraulic metal pole. I glanced from his face to the metal leg. “Bobby. Bobby Pendell,” I choked out. It wasn’t the leg. It was just hard to breathe around him, like he was sucking up my share of the oxygen. I wasn’t sure if I wanted to know how Jeremy Glass had lost that leg, though I was pretty sure he’d be happy to tell me. I thought about bolting back inside the club, but that would be rude. I bit back on the obvious response. How could a guy with a fake leg run? I cleared my throat. Something about this guy was making my skin crawl. Maybe it was his fast talking. Or the way his eyes twinkled but looked steely and cunning all at the same time. I felt like he was silently laughing at me. Like his brain worked two and a half times faster than mine did. He eyed me with one eyebrow raised, as if he didn’t actually expect a response. “Um, it was nice to meet you. But I really should be getting back inside,” I said, and finally got up to leave. A shiver rolled up my spine. I had to get away. Ever since my last brush with Agent Maura Reston on the Scratch Lake dock, I’d had the distinct feeling I was being watched. Maybe I was just being paranoid, but this guy seemed to be probing me for something. The blood froze in my veins. I pivoted and saw a brief white flicker, a disruption, then empty air. “Like you?” I backed away toward the club entrance, cold sweat trickling from my scalp down the back of my neck. He pressed a card into my hand. My mouth went dry. The sidewalk tilted. I pressed my palm to the glass of the club window to steady myself. I didn’t have to look down to know what it said. He’d seen the thing that I’d seen. He was like me. He was working with Agent Reston and her paranormal goon squad. Then she’s accepted by a boarding school for the musically gifted. All of her new friends are bursting with talent, but they’re also keeping secrets. Can she trust Vincent, who’s so sweet that his very touch makes her fears melt away? Or Xavier, who’s trying to tell her something but is hiding even more? Full review from Just Jared Jr. 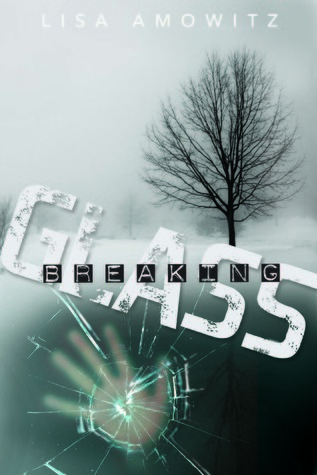 BREAKING GLASS, released in July, 2013 from Spencer Hill Press, is her first published work. 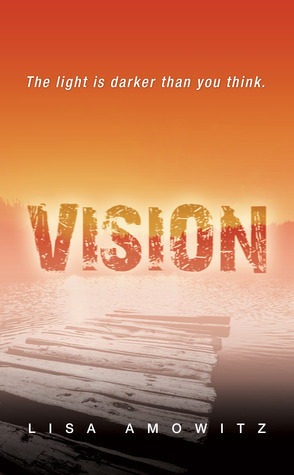 VISION, the first of the Finder series was released September, 2014. 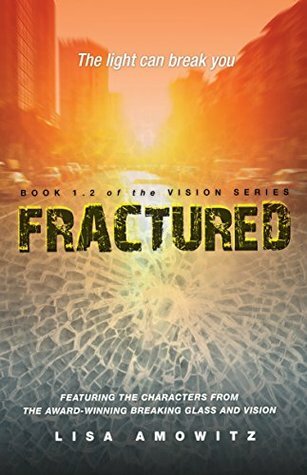 FRACTURED, a novella combining the worlds of BREAKING GLASS and VISION releases as an ebook only, June 7, 2015. 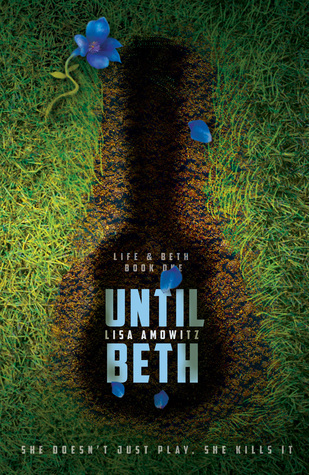 UNTIL BETH, the first in the Life and Beth trilogy will be released September 2015. Lisa Amowitz is available for guest appearances, Skype visits, school visits, libraries &amp; interviews. Please contact her for scheduling.